The buzz on the Google Pixel phone is enough that demand at Verizon is outstripping supply. 9to5google.com says it has accounted for over 12% of smartphone sales at Verizon. Right now, it looks like you won’t be able to score most Pixel models until March! Forget Uber…which knows nothing about flying. Airbus is shooting for testing self-flying taxis by the end of 2017! Zdnet.com reports that commuters could book an Airbus flying cab with a smartphone app. There are obvious regulatory hurdles before this can happen, but as they point out, it could free up roadways and the cost associated with them enormously. Besides Uber’s flirt with this, you have Terrafugia, Aeromobil, and EHang working on them, but Airbus is really the 800 lb. gorilla for the flying cab future, with their vast aircraft experience. The new Macbook Pros that dropped this fall have been panned for lack of ports and battery life. Now, 9to5mac.com reports that they will be refreshed again this year, and get Intel Kaby Lake processors, and 32 gigs of ram. The processors are more stingy with power consumption, and the higher ram will ease a knock from actual pro power users who need all that memory. They will probably debut this fall. Ok, take another big swig of that coffee! There have been numerous studies finding correlation between caffeine, coffee, and better health, but according to a new one from Stanford picked up by theverge.com, we may now know why. Caffeine may apparently be able to block inflammation! The study actually started as one on aging, but it turned out that people who consumed more caffeinated beverages had less inflammation, had lower blood pressure, and were generally healthier. Have another cup! In the another first world problem department, isn’t it a hassle to have to change that room air freshener cartridge, or grab a can of air freshener? What if you could do it from your phone? Engadget.com says there’s an Indiegogo campaign for a tabletop air freshener called Moodoo. You can put up $139 for one, plus 4 scent capsules, and will be able to control it from your phone…including setting up ‘fragrance playlists.’ Yeah, this is a major first world problem for sure! Although I haven’t really had an issue with it, many people are still plenty upset about the lack of a headphone jack on the iPhone 7 and Plus. Personally, I’ve used some 30 buck wireless Bluetooth ones, and tried out my quality wired ‘cans,’ and just used the dongle Lightening adapter. If you are one of those people who are feeling the pain, Fuze may have a solution coming in the next months. Thenextweb.com reports that Fuze is an indiegogo project that resembles a Mophie Juicepack battery pack case. The difference is…besides the Lightening jack at the bottom, there’s also a 3.5 mm audio jack. When it comes out, you can double your battery life, charge, and listen to your wired phones to your heart’s content. It will be $69 retail, but super early bird backers can get it for $49 if you head to indiegogo.com. Choose from white, Black, gold, rose gold, or blue. Apple is set to freshen MacBook Pro models the end of October. The latest word, according to macrumors.com, is the they will have the previously touted OLED touch bar replacing the function keys at the top of the keyboard, a fingerprint scanner for security like the iPhones have, USB-C ports, and a thinner profile. 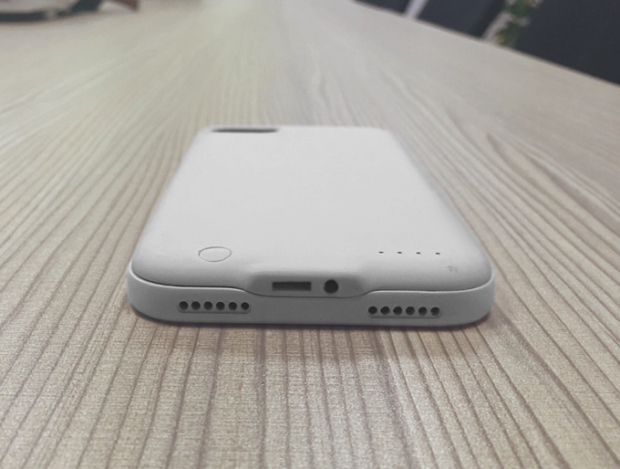 9to5mac.com cautions to stay away from accessories with magnets for iPhone 6 and 6 plus. They interfere with the camera and NFC…better known as Apple Pay. Indiegogo has launched a new service called Life, for funding life events and raising money for individuals…not charities. Engadget.com says it will be a good option to help a family in need. Users that signed up for Skype Translator can now give it a go. Thenextweb.com says real time translation is live between English and Spanish for voice, adding to the 40 languages via instant message. When Will Apple Watch Be Here? If you were planning to blow your Christmas money on an Apple Watch, well Happy Valentine’s Day! Macrumors.com cites a report from the Information saying the Apple wearable won’t be out until Valentine’s Day or later. Maybe your Valentine will buy you one! We told you about the Sherlybox months ago, now there’s Wedg…no ‘e,’ another private cloud device. Techcrunch.com says Wedg is in a crowd funding campaign on Indiegogo, trying to raise about $220,000. Just another good reason to make your car payment on time…NYtimes.com reports that lenders are installing remote start interrupt devices on cars bought by subprime borrowers…some 25% of new auto loans. With GPS, they can track you, too.